Sorry, this job expired on Jan 21, 2018. Below are other jobs that may be of interest to you. 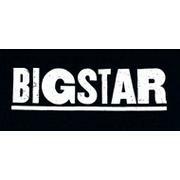 Big Star is looking for an Assistant General Manager. Please apply with both a resume and a message/cover letter. Position Summary Front-end management that directs and oversees all activities at Big Star in accordance with standardized policies in order to provide efficient, friendly services and profitable operations. Additionally, enhanced focus and dedication to the details of all FOH service and training. Assists general manager with staffing responsibilities for host, servers, server assistants, bartenders, barbacks, food runners, etc. This includes helping with hiring, training, scheduling, evaluating, and terminating, with General Manager’s support. Work closely with General Manager, Head Bartender and other Assistant Managers (and Beverage) for cohesion throughout the beverage program and guest seating/accommodation. Work closely with the Culinary BOH team to ensure there is no division between FOH and BOH. Delivers excellent guest service including personally greeting and seating guests. Work on revising all steps of service, sidework, etc with GM as environment changes. Have strong communication with GM, Chefs, beverage coordinator, and kitchen to communicate any issues, concerns, or ideas. Make sure the entire space looks, smells, and feels good (lighting, temperature, bathrooms, cleanliness, and seating arrangements). To be familiar with the food and beverage items on Big Star's menus. To assist General Manager with scheduling whenever needed. To work a combination of shifts—opening and closing—as well as the potential of a sixth shift during the weeks of major conferences/conventions/festivals such as the NRA, NEOCONN, Lollapalooza, etc. Responsible for checking out service staff, collecting all necessary payments and closing the restaurant according to Big Star’s standards. Illinois Manager Sanitation certification required. BIG STAR is a whiskey, tequila, cocktail, and beer-focused venue located in the heart of Wicker Park, Chicago. Executive Chef Paul Kahan and Chef de Cuisine Julie Warpinski have crafted an eclectic menu inspired by Mexican street food in a space reminiscent of a California honky tonk. The food, liquor and cocktail programs change continuously to complement the seasons, and always features six beers on tap, and an ever-growing selection of our house-selected single barrel bourbons and whiskeys, picked by staff members at distilleries in Kentucky.